My grandmother was an excellent rhubarb jam maker; in granny’s house there was often a big saucepan of jam sitting on the counter ready to be spooned on to homemade soda bread. I haven’t sampled that beloved jam in a good few years now and while there are decent versions available to buy it is hard to beat the home made variety and I have become a fairly good rhubarb jam maker myself – well at least me and my mother think so. Most recipes call for equal measures of rhubarb and sugar, but I prefer to ‘tart mine up’ and add less sugar and lemon juice so the rhubarb retains its natural bitterness. This recipe will produce enough jam to fill three to four large pots and is great served on soda bread or dolloped on to custard for a simple dessert. 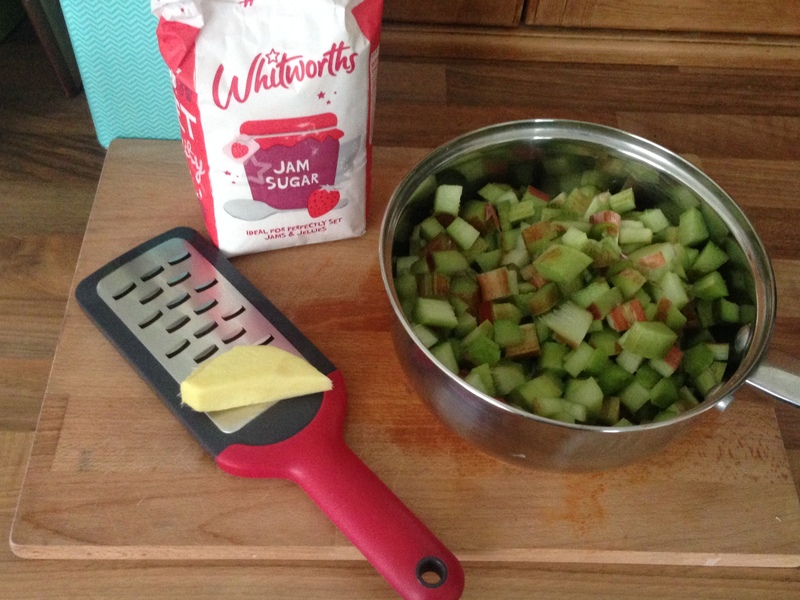 Wash the rhubarb, cut into chunks and place in a bowl. Grate the ginger into the rhubarb, mix together well and sprinkle the sugar on top. Allow the mixture to settle for one hour – the sugar will start to draw out the juices and soften the rhubarb. Over a medium heat bring the jam to a gentle boil and when all of the sugar has dissolved, reduce the heat and simmer the jam for 1-2 hours until the rhubarb has completely softened and broken up. When the jam has cooled spoon into sterilised jars and if like me you cannot wait that long spoon it directly on to a slice of bread and enjoy. 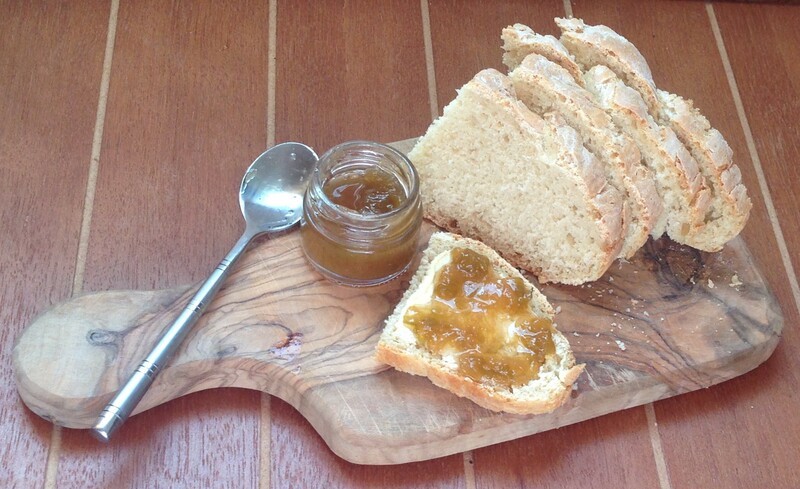 This entry was posted in Recipes and tagged ginger, irish soda bread, jam, rhubarb by Michelle Loughran. Bookmark the permalink.